Arco Plumbing has been offering residential, commercial and industrial plumbing services in the Westmont, IL area since 1978. We are a family owned and operated plumbing company that truly cares about getting the job done right. You will find no better workmanship in the area. We understand that when it comes to the plumbing in your home or business, the last thing that you want is to encounter any problems. At Arco Plumbing, we aim to minimize the risk of problems occurring by providing a comprehensive service for every plumbing eventuality in Westmont, IL and the surrounding area. Our services cover an extensive range of preventive solutions, that can help to combat the risk of flooding, gas line problems, and leaks. From preventive to proactive, you can count on us to help you maintain the plumbing in your whole home, catching problems early to stop much more serious issues down the line. Need professional help with renovations or upgrades? You can still rely on the team at Arco Plumbing to get the job done perfectly, the first time around! Our expertise extends to the full installation of every plumbing fixture in residential, commercial, and industrial property’s – whether you need a basement rough-in or a full bathroom makeover, Arco Plumbing are the service to call in Westmont, IL! Drain Cleaning – we are clogged drain specialists! Basement Rough-In – we are experts in professional basement rough-ins! Flood Control Systems – we can help to keep your basement safe from flooding! Sink Repair – clogged, broken, or leaking, we can take care of it! We are fully licensed, bonded and insured and all complete jobs are fully guaranteed. No matter your exact plumbing requirements, the experts here at Arco Plumbing are on hand to help. We cover everything from preventive inspections and problem diagnostics, to quality repairs and whole-home plumbing installation. Whether you’re experiencing a problem, worried about the quality of your plumbing, or are looking for a complete property makeover, Arco Plumbing is always the service to call in Westmont, IL. Not sure what the problem is? We’ll find out for you using the latest in diagnostic equipment and our extensive inspection experience. From inspections to installations, you name it, and we can take care of it at Arco Plumbing! Our plumbing services are designed for the whole-home, so no matter your plumbing needs, with Arco Plumbing on call, you’ll never have to struggle to find an affordable and experienced plumber in the Westmont area. In the basement, we can provide comprehensive flood defense systems, to help you control the risk of flooding in your home. With professional sump pump installation, you can manage the water excess in your basement, while our flood control systems will give you a thorough peace of mind about the safety of your basement even in the worst weather. If you’re looking to turn an old basement into a brand-new room to enjoy, then we’re on hand to rough-in the basement and kick off the renovation in the best way possible. In the bathroom, we can help you to realize you dreams of a beautiful and practical space with plumbing that you can rely on! We’ll provide ongoing maintenance to keep everything in perfect working order, install any new fixtures and fittings that you want to improve the space, and get to the bottom of any problems so your bathroom is never out of action for long. In the kitchen, we make sure that the heart of the home has everything you need to cook and dine without problems. From garbage disposal repair and replacement, to sink repair and drain cleaning, your kitchen plumbing is in safe hands with the Arco Plumbing team. Quality workmanship, excellent customer care, and affordable prices are a guarantee when you choose Arco Plumbing. Make us your number one choice today for whole-home plumbing and ensure that all your plumbing needs are taken care of by the experts. Commercial and industrial plumbing requires a professional service, which is exactly what we provide here at Arco Plumbing. Our team have the skills and experience needed to handle all types of commercial and industrial plumbing problems in a range of industries. Whether you have clogged drains in your retail building, gas line issues in your office premises, or are concerned about flooding in your storage warehouse, we have the experience and the latest tools and equipment to help. Our local experts know the ins and outs of commercial and industrial plumbing, so we can take care of all your plumbing requirements. Choosing Arco Plumbing means choosing a local plumbing service that has substantial experience working in the local area. We are licensed and bonded, for a guarantee of quality workmanship, and fully insured for your peace of mind when tackling commercial and industrial plumbing jobs big and small. Some plumbing jobs can be planned for, but others occur at the most inopportune of times, leaving you to find a professional plumber near you that you can count on at a moment’s notice. If you’ve experienced a plumbing emergency, such as a burst pipe or concerns over how well your basement is prepared to handle an upcoming storm, then we’re the Westmont-based experts that you can rely on. Over the years, we have established an excellent reputation in Westmont, IL, and the surrounding area, for providing quality plumbing services when residents and business owners need them the most. We work quickly and efficiently to provide quality solutions in all emergency situations, no matter whether they’re big or small. We care about excellent workmanship, so even in an emergency, you can expect an exceptional service from our team. If you have a residential, commercial, or industrial plumbing emergency, that involves one of the extensive range of services that we provide at Arco Plumbing, don’t hesitate in calling us today – we’ll be with you as soon as we can! Why Choose Arco Plumbing for Plumbing Services in Westmont? 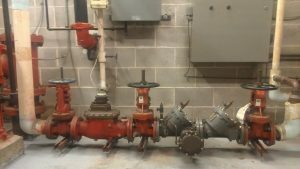 Arco Plumbing has a very long history of serving the residents and business owners of Westmont, IL, and have gained an excellent reputation in the last 40 years. We value an exceptional service, at every level. From the moment you contact our team with a plumbing problem, to the end of the job when you’re plumbing needs have been taken care of, you can expect a quality service from the Arco Plumbing team. Our range of services have been designed to address everyday plumbing concerns as well as rare emergencies, important home improvements, and occasional home renovation projects, so we can give our customers the knowledge that they can rely on us for every type of plumbing job that crops up. We are continuously proud of the services that we offer to the residents of Westmont, IL; from our emergency services to our general plumbing service, we are the local experts that can always be relied upon. Need an experienced plumbing service? Call Arco Plumbing today! Get A Free Plumbing Estimate Today! We are more than happy to give advice on which solution is most suitable for your needs, depending on your Plumbing Services needs. We can inspect your property’s plumbing and discuss the various options with you. Our advice is free! 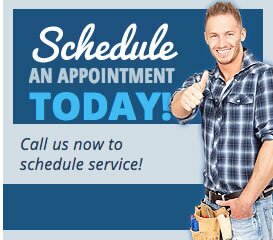 For plumbing problems or plumbing upgrades, get into contact with us today to schedule an appointment with our friendly local plumbing team. We always provide a free estimate on the work that needs doing, so you know upfront what to expect. You can count on our local team to offer some of the most affordable prices in Westmont, IL and the surrounding area, for all types of plumbing service.